I honestly thought Buffon had retired. I guess that Choupo-Moting guy is what happens when the FFP finally catches up to you. Can't believe he's at PSG. I really worry about us letting our guard down due to the absences of Rabiot, Neymar and Cavani. We can't lose sight of the fact that even like this, a Draxler-Mbappe-AdM strike force is as good as any we've seen from an opponent at Old Trafford this season. And, the main worry, it's a much faster strike force compared to PSG's main trio. So the likes of Young, Shaw and Lindelof have to be very careful about their transitions tomorrow. The one area where we will probably end up having an advantage is the midfield. I don't think the 3 that they will play tomorrow is better than Herrera-Matic-Pogba and that's where we have to hit them. For me, we should play like we did at the Emirates and look for counter attacks. Getting Rashford in 1 v 1 situations with Thiago Silva would be a good way to open them up. Whatever the case, it should be a cracking game. One I'm really looking forward to, A LOT more than I did whent he draw was first made. (12-02-2019 12:18 AM)Costas Wrote: I guess that Choupo-Moting guy is what happens when the FFP finally catches up to you. Can't believe he's at PSG. Costas - The little I have seen of the Choupo-Moting bloke I have been impressed. He's a work horse and grafter and he'll be important for Mbappe. M'bappe thrives of a Giroud or Cavani or Falcao. I think the players to worry about are Mbappe for sheer pace, he can murder Shaw, Young, Jones, Matic and Herrera. He's the best kid since Brazillian Ronaldo and Rooney. Draxler is really intelligent, especially through the middle. Di Maria is a big game player, he's a got trick up his sleeve. PSG's overall quality is more than United even with a injury hit squad but their mentality is lacking and their manager is naive. Pogba is the X factor. Their centre backs can keep Rashford quiet, Martial can be pegged back as can Lingard. But nobody can contain Pogba on the break. 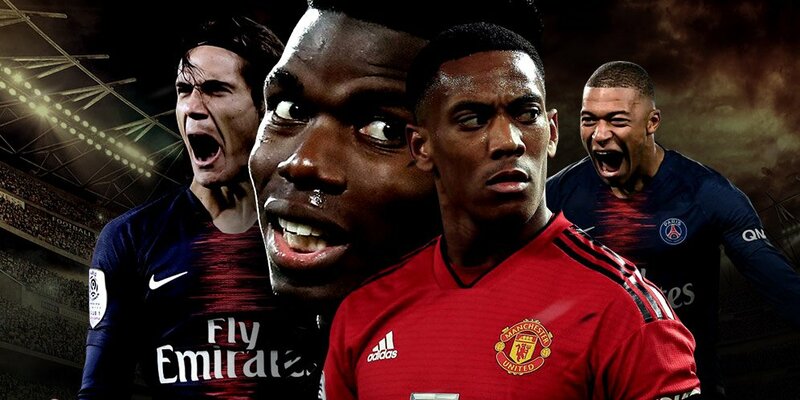 Saying that, United are the home side and PSG maybe cautious, so guys like Mbappe, Di Maria thrive on the counter. Apparently they are concerned about the English pressure cooker football which played at 100 MPH. Subs: Romero, Jones, Dalot, Fred, Mata, Alexis, Lukaku. It's our best first XI with one debatable point: Who partners Lindelof. Personally, I would have gone with Smalling due to his experience. Bailly is athletic enough to deal with Mbappe, but is also guilty of having brain farts. Bold move by Ole to trust him in this game. Lets hope it works. 4-2-3-1 Apparently based on reports how they prepared. I wish we had better defenders to deal with PSG. Neville - Rio - Silvestre - Heinze. Makes me wonder how little I rate Young, Shaw and the rest. Lindelof at best is a young Vidic from 2006. Don't be so pessimistic Clint! Will be watching the 1st half live but DVRing the 2nd half as I have to pick up my daughter, so no commentary from me during the 2nd. Let's go lads! Wow, watching Ole walk out on the pitch of a Champions League match at OT again is sending chills up my spine. So glad to have him back in our colours. First time the CL has given me goosebumps in 5 years. Come on United! (12-02-2019 07:44 PM)@JC Wrote: Don't be so pessimistic Clint! Will be watching the 1st half live but DVRing the 2nd half as I have to pick up my daughter, so no commentary from me during the 2nd. Let's go lads! Waiting for my daughter. Stayed late to make up a test. Debating just turning it on when I get home vs starting from the beginning but not coming online. Nervous in a good way. 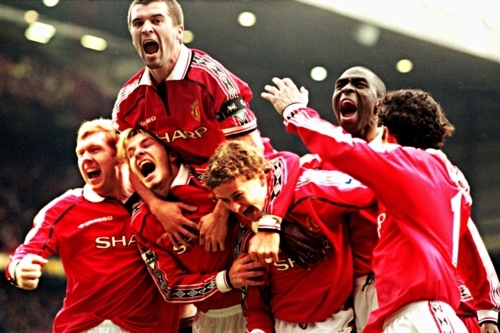 Would love to see a vintage United performance at OT that proves we really have turned things around and improving. But this team is no lightweight even with the injuries of their stars. We need to make chances. We are at home. Great run and dribble by Pogba. Should have scored there or got a shot off.